Congratulations to the Panthers and Tropics on winning this years championships. Both Junior and Senior finals were entertaining games of great ball hockey. Thanks to all the players, coaches, parents, and fans on another terrific season. See everyone next year for our 30th anniversary season. Just a reminder the Grad game will be this Saturday March 23 at the A.C.T. Centre from 12:00 - 3:00 pm. Please bring a black and white shirt. 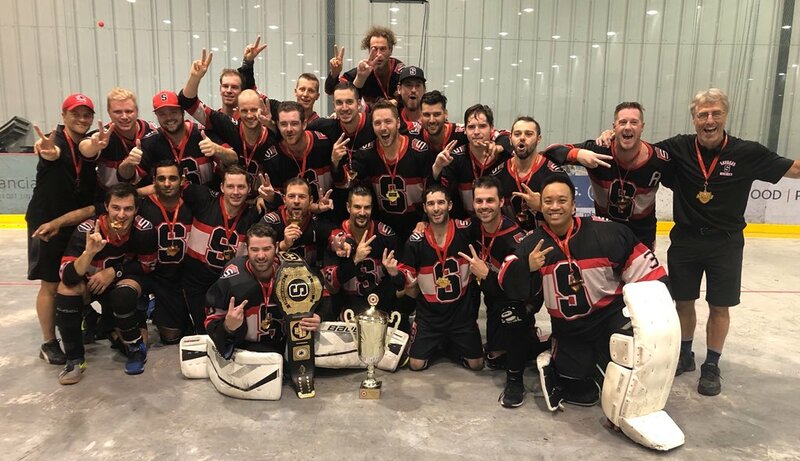 Congratulations to Edmonton Savages for winning the 2018 Men's National Championship. They also won in 2017 making it back to back National Championships. Also Congratulations to Edmonton Top Whale who also qualified for this years Nationals. Edmonton Top Whale, backstopped by ex-Just For Fun goalie Carson Schreiber, had a good showing though lost a close game in the quarter finals and failed to advance to the medal round. Great to see Edmonton Ball Hockey doing so great on the National stage. Here is a link to the Edmonton Journal 2017 Championship article.